Are there 3-Way LED Light Bulbs? You might find this surprising but yes, they are not only readily available but also affordable. It’s possible that your local retailer does not have a wide variety of selection, but they are easily purchased online. I’d pretty much resigned myself to the fact that once my supply of the old incandescent 3 way bulbs burned out, I was going to replace them with a regular or compact fluorescent (CFL) bulb. However, then the problem became what wattage/lumens do you replace it with? The whole purpose of buying 3 way lamps is so that you can have either a soft light or bright light depending on the activity in your room. If I replace it with an energy smart 50 watt bulb, then chances are good it’s not always going to be bright enough. But with the opposite option of replacing it with a 150-watt bulb, it’s most likely going to be way too bright most of the time. 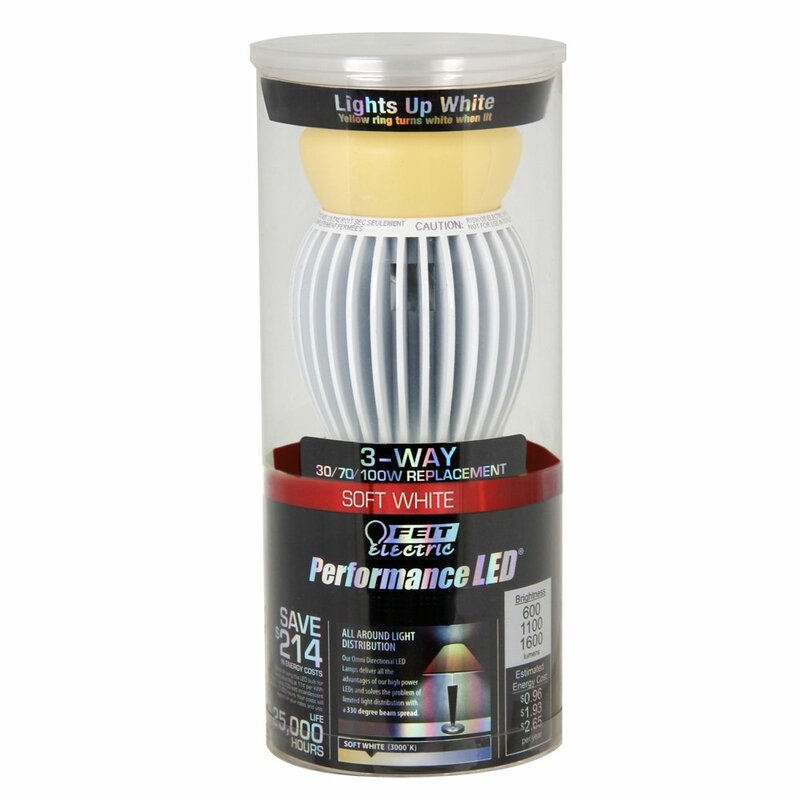 There are a couple of 3 way bulbs which are highly rated and affordable. One thing I noticed is that specs for each bulb indicate whether they are dimmable or not. I’m not sure why you would need a dimmable 3-way bulb for a lamp, since that is the reason for having a 3-way lamp socket switch… there is no option for a dimmer. However, one might assume that since it is an LED bulb it is automatically dimmable, but this is not true with LED 3 way bulbs. If you need this option, then check the specs of the bulb you’re looking to purchase and make sure it has this feature. Also, there are different 3 way bulb wattage options available. I’m more familiar with the 50/100/150 watt incandescent bulbs. I like the highest setting to be bright. While there are some of these higher wattage LED 3 way bulbs available, they tend to be a bit more expensive and not as readily available as the lower watt configuration. With the higher wattages, you may want to keep using the CFL bulb for a while longer until the price of the LED drops more and is easier to find. A good option for this is this 50/100/150-Watt Equivalent 3-Way CFL Bulb. The first one I found is very affordable and highly rated; it’s an LED 3 way with a wattage configuration of 5W/9W/20W (40W/60W/100W). Note the description, it is non-dimmable. The second 3 way bulb product I found had a different wattage configuration – 30-70-100W equivalent. The description of this one does indicate it is dimmable, if that is a feature you really need. The dimmable option must affect the price however, as there is a big different from the previous bulb. It’s nice to know that you can keep using your 3 way lamps as they were intended with smart technology replacement bulbs. Check one out today and keep your home energy efficient!